The US space agency will try again on Wednesday to launch a satellite designed to track carbon dioxide, a leading greenhouse gas that is responsible for global warming. The first bid to send the Orbiting Carbon Observatory-2 to space was aborted at the last minute on Tuesday, after engineers discovered a problem with water flow to the launch pad. 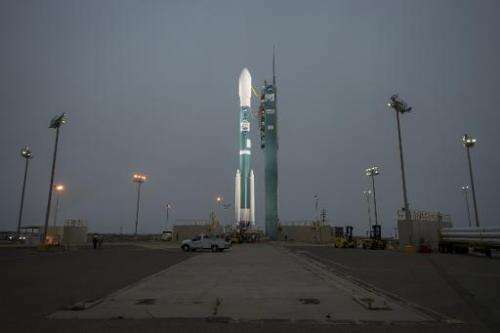 The next attempt is now set for Wednesday at 2:56 am Pacific time (0956 GMT) from Vandenberg Air Force Base in California. NASA's two previous bids to send a carbon-tracking spacecraft into orbit failed due to rocket malfunctions in 2009 and 2011. This time, NASA switched to a different type of rocket, the Delta 2, but an issue with the water suppression system to the launch pad caused engineers to halt the process at 46 seconds before liftoff early Tuesday. "Pending the outcome of troubleshooting, the launch is rescheduled for Wednesday," NASA announced on its website. The launch window is quite short, just 30 seconds. The timing has to be precise so that the satellite could join the A-Train, a constellation of five other international Earth-observing satellites.